O God who created us in Your image, we praise You for the diversity of Your kin-dom here on earth. Your Way of Love has followers across human-created denominational lines, theological boundaries, and geographic locale. Give us a heart that loves and agonizes for congregations beyond our own, like Paul did for the church in Laodicea. Give us ears to hear when Your children cry out for justice and then help us to be Your hands and feet to transform the situation to bid Your kin-dom come. Those who serve and love You are praying with the Commission on the Way Forward. We know that you are with them and that you are with us, in the midst of what can be hard and uncertain conversations. Grant us wisdom, O God, and grant us courage. 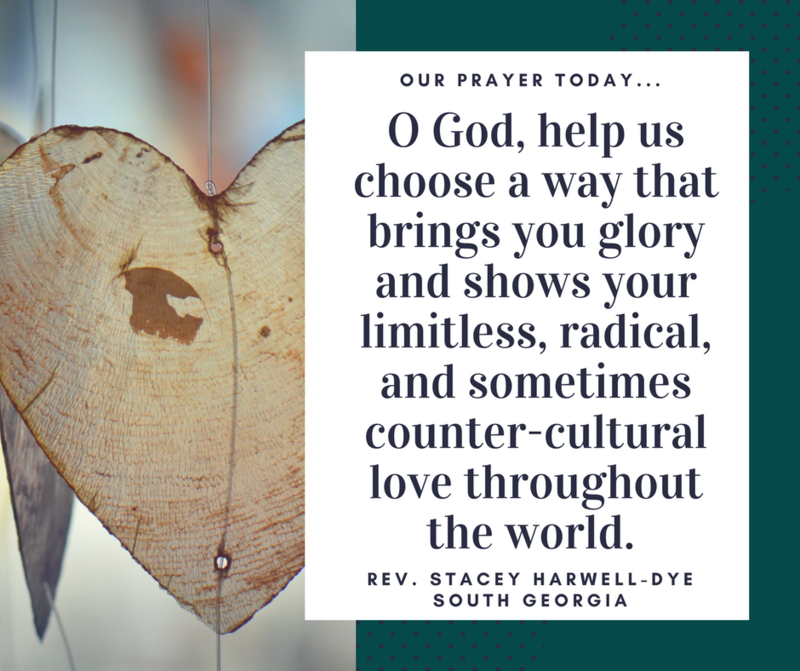 Help us choose a way that brings you glory and shows your limitless, radical, and sometimes counter-cultural love throughout the world. Renew our relationship with you and with each other. As we say each time we come to the table, free us from the sin that holds us captive so that we can serve you with true obedience. May we receive your word of freedom with joy. Help us to live into reconciliation with every word we say and every action we take as we discover the best way to be one with you and one in ministry to all the world. In your Son’s holy name we pray towards peace, towards renewal, towards true freedom in You, Amen.